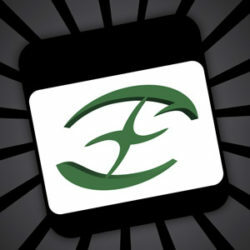 Thank you for checking out Cross-eyed Studio. 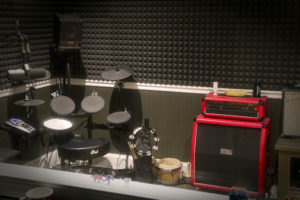 Beginning with the first sessions in 1998, Owner Randy Hayes has made a positive impact on the lives of musicians in the Raleigh, NC area through excellent audio production fostered in a welcoming environment. From analog tape, to digital tape, to today’s full-featured digital audio workstation, music and faith have always been the common threads undergirding the Cross-eyed Studio experience. 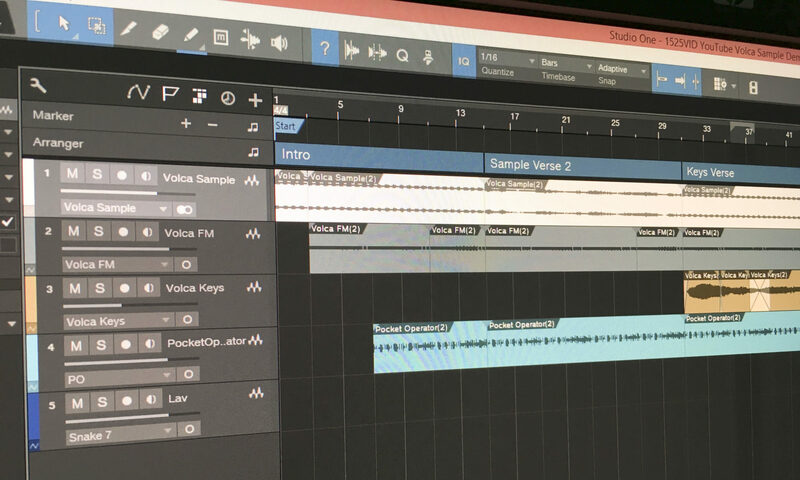 In the years that have ensued since the beginnings of producing local artists’ music, the studio service catalog has broadened to include original soundtrack creation for film and gaming, professional voice-over production, and so much more. Read on to discover everything that Cross-eyed Studio has to offer you! In this video, I create a short song to demonstrate the Korg Volca Keys analog synthesizer’s [TOP SECRET] ability to program 8-bar sequences into each Memory slot. The Keys has eight Memory slots, and usually each one contains a single 16-step sequence of 3-voice polyphony. But with a little clever tinkering, you can expand that 8x! Be on the lookout for a tutorial soon explaining how it’s done. 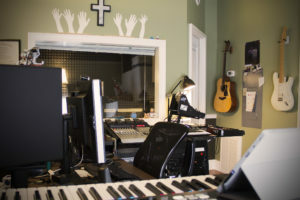 The recording studio is at the heart of Cross-eyed Studio. 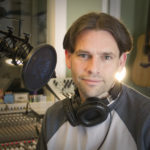 The passion to produce excellent audio recordings opens the door to a very broad and exciting world of entertainment, communication, and archival media. Whether your project is a complete album of your own songs, a video project that needs original music and voice-over, or the restoration of older media formats, Cross-eyed Studio provides decades of experience and an impressive set of tools to make the final result the absolute best it can be. The physical space itself consists of a former garage that has been completely reimagined and rebuilt from the ground up. Where once there stood a garage door, a set of glass French entry doors now welcomes you inside where you’ll be greeted by the view of the control room you see in the photo above. And that first impression is what the youngsters nowadays call “sick” (that has literally happened on more than one occasion). After climbing a few steps to relax in the climate-controlled studio control room and discuss your project, you’ll proceed further inward and through a second windowed door into the inner-sanctum of the studio, the isolation room you see behind the glass. Once inside, you’ll find space enough for a couple of musicians to stretch out with acoustic and electric instruments, a vocal booth, digital drum set, tube guitar amp and pedal board, and one well-endowed mic locker. Speaking of which, read on to learn about some of the featured tools available through Cross-eyed Studio.